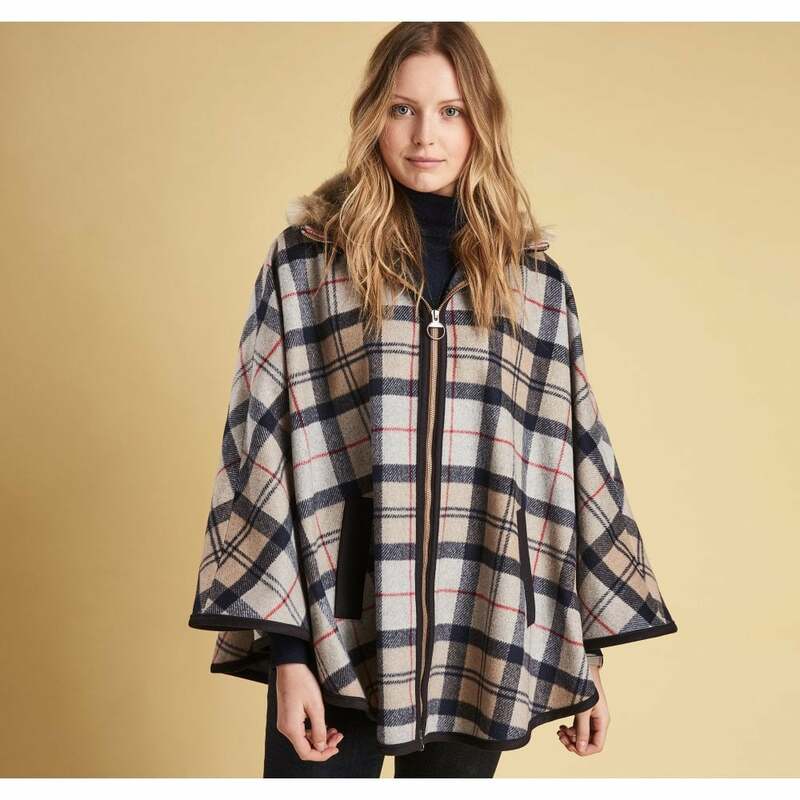 This Tartan pattern piece is crafted from a cashmere blend to create the softest feeling to this beautiful cape. A funnel neck with detachable fur collar provides extra warmth and combined with the exposed zip front creates a eye-catching look. Elegantly styled this piece features Barbour classic winter tartan and branding.